How many times have you heard that one lately? Employees are feeling the pain of increasing health benefits. Everyone is. It’s becoming an all too common conversation in HR. Employees feel like they’re getting ripped off by ever-increasing costs. The truth is most organizations are paying for more. Most of us can’t cover 100% of employee health costs, but many of us are paying increasing percentages to help our employees. Except employees don’t always see that. And some of the ones who do, don’t care. They still feel as if the company can do more. As BambooHR points out, increased costs feels like a pay cut to employees, which endangers employee engagement and productivity. What was originally intended as a way to differentiate employers and provide protection to employees has turned into a complicated albatross. You can’t stem the costs of health coverage, and eliminating it isn’t an option. It’s never been more important for HR professionals to be great educators. Communication has always been a critical aspect of HR. Recruitment, assessing candidates, creating handbooks, employee indoctrination, corporate policy creation and management, and so on. If “branding” is the connection between a company and its customers, then HR is where branding occurs between a company and its employees. Perhaps even more than management, effectively communicating benefit cost increases falls upon your shoulder. It doesn’t have to be difficult, and besides communicating, you can also proactively take steps to offset some of the damage done by accelerating costs. Be Transparent - It’s time to put those open door policies to use. Be upfront and honest when increases are on the horizon. Show - don’t just tell - employees how much the company is paying to stem the tide. And for those who really want to know, be prepared to show just how extensive you and your management have worked to keep prices down by sourcing vendors and looking at different plans. Instead, Expand Your Options - Work with vendors to increase options, such as cafeteria plans or HSAs. If cost, and not depth of coverage, is the primary issue, then help employees find options that work within their budgets. If possible, work with management to match some contributions to these plans. Consider Other Low Cost Perks - Look at expanding vacation time, or creating flexible work options. 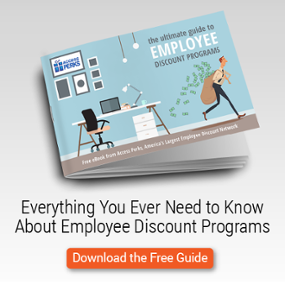 Employee discount programs can save employees hundreds of dollars on purchases they make every day. Offer fitness reimbursements, or loosen up the dress code. Each of these has a low hard cost, but they hold high tangible value to employees that can offset some of the bad juju caused by insurance hikes. Benefits are high stakes. Some studies have shown that people are willing to change jobs and take less salary for better benefits. Many older workers are staying in the workforce to have them. And employees who are satisfied with their benefits are 4x more likely to be satisfied with their jobs. There isn’t much you can do to control costs, but you do have the ability to oversee the communication of changes, as well as the addition of other benefits that might offset any engagement damage. And protecting your most valuable resource - engaged employees - always takes priority. You’ll never get rid of every “Why won’t the company pay more?” question. But you can always have the best response ready.